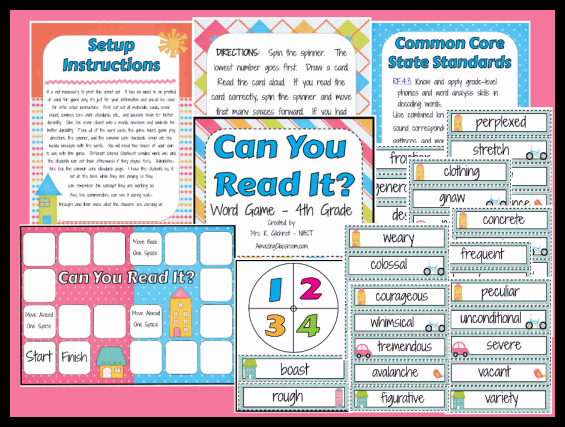 Your students will be sure to become more fluent with this 4th grade fluency practice center. Students work in teams or pairs to read the word on each card. If they get it correct, they advance along the game board and follow the directions on the board game spaces. This center includes a cover sheet, ccss page, setup instructions, game directions, a game board, and 47 game cards. Enjoy! 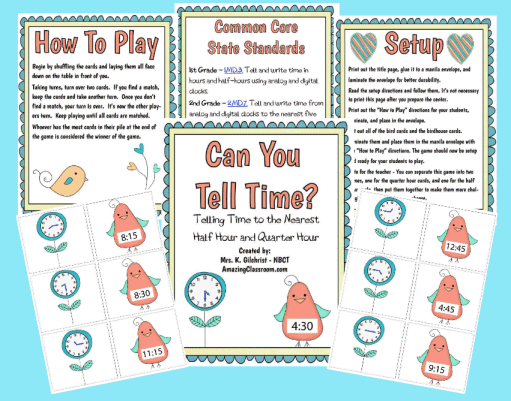 Your students will get tons of practice telling time the the nearest quarter and half hour with this fun math center. This file contains a cover page for a manila envelope, setup instructions, how to play instructions, 24 analog time cards and 24 matching digital time cards. Played like memory or concentration, your students will have fun while learning this concept. Enjoy! Can You Read It Word Game? 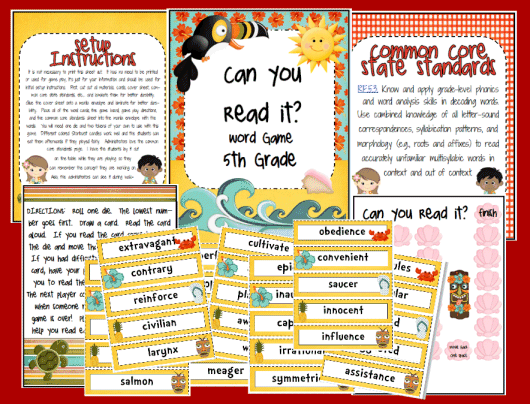 Your students will be sure to become more fluent with this 5th grade fluency practice center. Students work in teams or pairs to read the word on each card. If they get it correct, they advance along the "aloha" themed board game and follow the directions on the board game spaces. This center includes a cover sheet, ccss page, setup instructions, game directions, a game board, and 40 game cards. Enjoy! 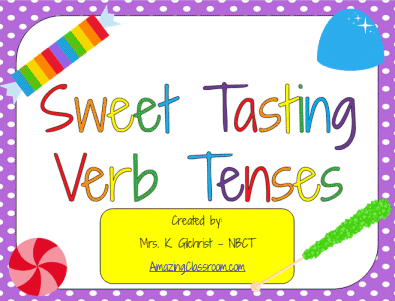 Your students will be sure to learn past, present, and future verb tenses (one of the new second and third grade common core standards) with this sweet tasting verb tenses game. It's bright, colorful, and includes multiple opportunities for students to practice this concept. This file contains a cover page, game board, setup instructions, how to play sheet, 27 game cards, game card backing images, and an answer key. Enjoy! Your students will have fun learning to write their letters with this 26 page packet of activities. 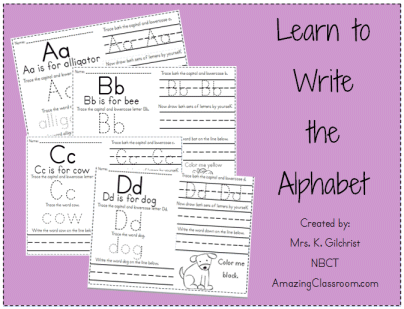 Each page represents a letter of the alphabet and has many opportunities for students to practice letter formation and writing their letters. A picture is also included on each page for the students to color. Enjoy! 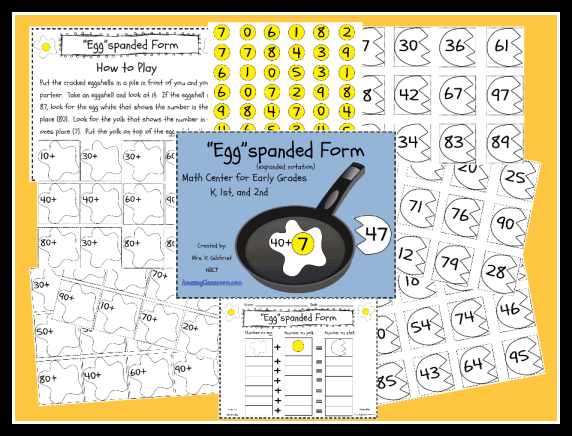 Your students will be sure to learn how to read, write, and add numbers in expanded form with this cute math center game. This game includes a cover page for the manila envelope, setup instructions, playing instructions, 36 sum cards, 72 addend cards, and a recording sheet. The students draw a cracked egg that represents the sum. Using the egg white and yolk, they create the number represented on the cracked egg and record their answers.Enjoy! This genre poster set includes eleven posters, each with a zebra themed background featuring graphics licensed through thistlegirldesigns. 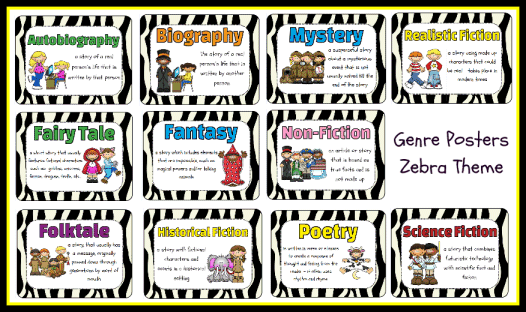 The genre posters included in this set are: autobiography, biography, fantasy, non-fiction, mystery, realistic fiction, science fiction, fairy tale, historical fiction, folk tale, and poetry. Enjoy! This genre poster set includes eleven posters, each with a polka dot themed background featuring graphics licensed through thistlegirldesigns. 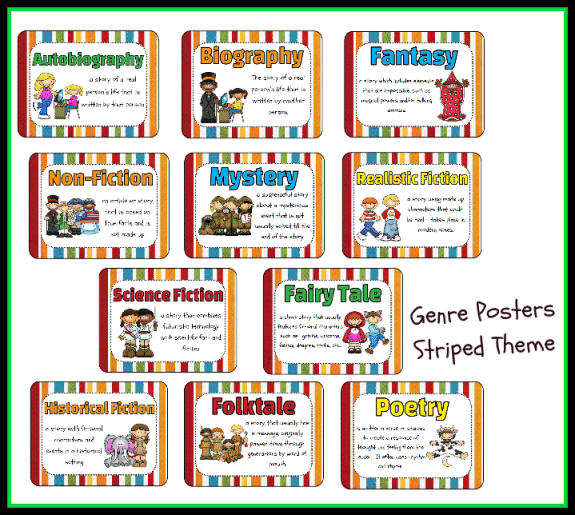 The genre posters included in this set are: autobiography, biography, fantasy, non-fiction, mystery, realistic fiction, science fiction, fairy tale, historical fiction, folk tale, and poetry. Enjoy! This genre poster set includes eleven posters, each with a striped theme background featuring graphics licensed through thistlegirldesigns. 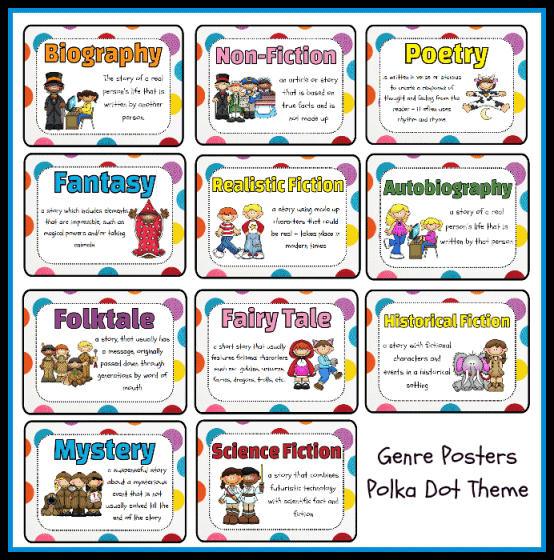 The genre posters included in this set are: autobiography, biography, fantasy, non-fiction, mystery, realistic fiction, science fiction, fairy tale, historical fiction, folk tale, and poetry. Enjoy! 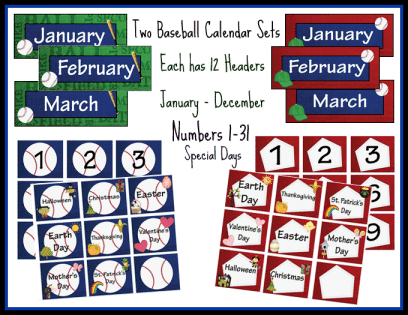 This resource includes TWO baseball themed calendar sets for your classroom. Use them together to create patterns within your calendar. This calendar set includes headers for each month, number cards 1-31, and special day cards: Mother's day, First day of school, Last day of school, Christmas, Halloween, Thanksgiving, Easter, Field Trip, 100th Day of School, Earth Day, Valentine's Day, St. Patrick's Day, & No School. Enjoy!